When things get rough at home, Conor (Ferdia Walsh-Peelo) is put into a Catholic school, where he has to deal with bullies, mean priests, and the girl of his dreams, Raphina (Lucy Boynton). Conor gets Raphina's number, but only by convincing her that he's in a band. So, in order to impress the girl, Conor must quickly form a band in order to cement his chances with Raphina. I had a ton of fun with this movie. Director John Carney had made an incredible film with Begin Again, which was also a music-centric movie. With Sing Street, he brings a similar talent, and an equally incredible movie. Similar to Damien Chazelle with Whiplash and now La La Land this year, Carney has a great musical sense. His films are not exactly musicals, but they are very musically-oriented, and it really works for the overall picture. I loved the music in Begin Again, and I fell in love with it again in Sing Street. The lyrics are really well written, the sound is incredible, and the uses of various instruments make for compelling songs. And the songs never lose sight of the fact that they are being written and performed by a group of high school kids. Carney directed the hell out of this movie, and I'm really interested in seeing what he does next. The performances are also fantastic. Ferdia Walsh-Peelo was great as the lead, and carried the film perfectly. I later looked him up on IMDb and saw that this was his first film appearance; he hadn't acted in anything before. And that makes his performance all the more incredible. I see this kid having a lasting presence in Hollywood, because he knocked it out of the park. Lucy Boynton was also great as Raphina. At first, she was very one-note, but as the film progresses she becomes a lot more developed and more interesting as a character, and I grew to like her a lot more. But from a performance standpoint she did a great job. But I think I liked Jack Reynor most as the older brother, Brendan. There's a considerable age difference between Conor and Brendan, and I loved that this film didn't fall into the cliched trap of they hate each other and they're always fighting. 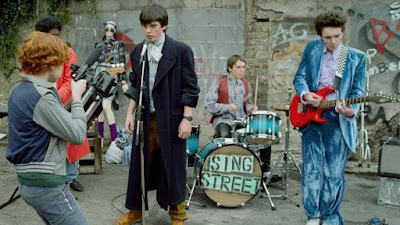 In Sing Street, Brendan is someone Conor looks up to and respects, and Brendan sees Conor as someone who can make better choices than he did, and sees him as his responsibility to help succeed. It was a refreshing dynamic, and I appreciated the angle. In terms of negatives, I only have a few. Like I said before, Raphina was a one-note character in the beginning, but later became more fleshed out. It wasn't like there was a reveal that made her being one-note understandable, it's just that they gave more attention to developing her character later on. I would've liked to have seen some consistency in how developed of a character she was. Also, the very end of the movie seemed out of the blue. I understood it and it kind of made sense, but it was entirely implausible, and seemed like a major leap for one character. It just wasn't nearly as believable as the rest of the movie was, and I had a hard time buying into it. Also, a character that had been completely against Conor for the entirety of the film makes a decision near the end that was rushed and didn't make sense with any of his character's decisions prior to that. There was also one song that the band sung that got on my nerves, and it wasn't nearly as sophisticated or as intelligent as their previous songs. If it sounds like these are nit-picky things, that's because they are. I really loved this movie, and I don't have any major flaws with it. Overall, Sing Street is a fantastic film. 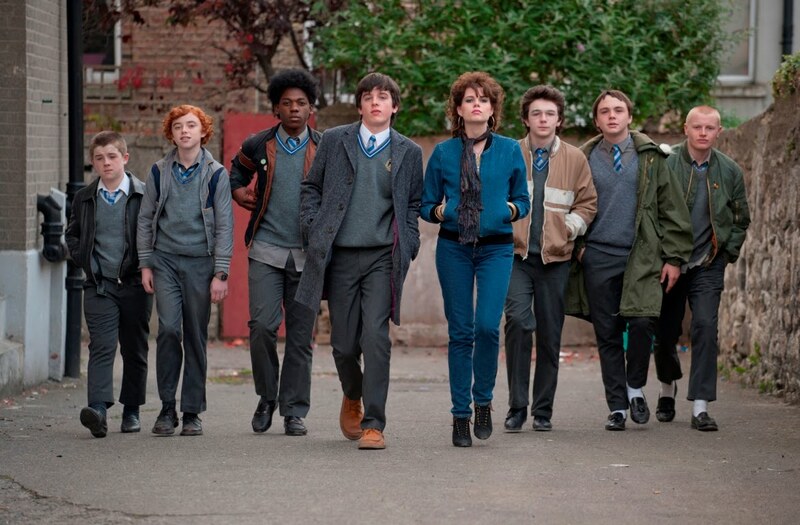 Once again, director John Carney seamlessly incorporates music into a compelling narrative. The songs all sound fantastic, except one that was kind of juvenile compared to the ones that had come before it. The performances all around are great, especially from Ferdia Walsh-Peelo, who made his film debut with this movie. 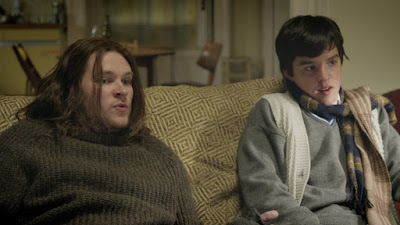 Jack Reynor also stood out as the older brother, and I appreciated that his and Conor's relationship wasn't based on animosity, but they were two brothers who loved each other. In terms of negatives, there's a few story elements later in the film that don't make sense, and I would have liked to have seen a consistency in Raphina's character development throughout the film, but those are pretty small problems in the long run. 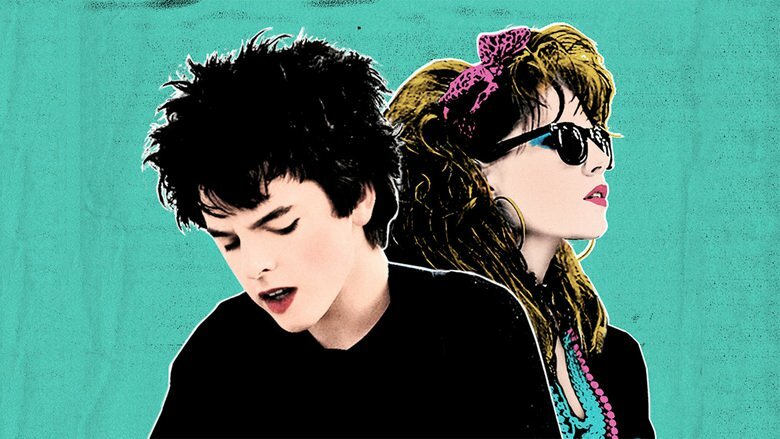 Ultimately, I think I liked Begin Again more, but Sing Street is a great addition to John Carney's impressive resume, and I think it may do well at the Academy Awards this year. What do you think? 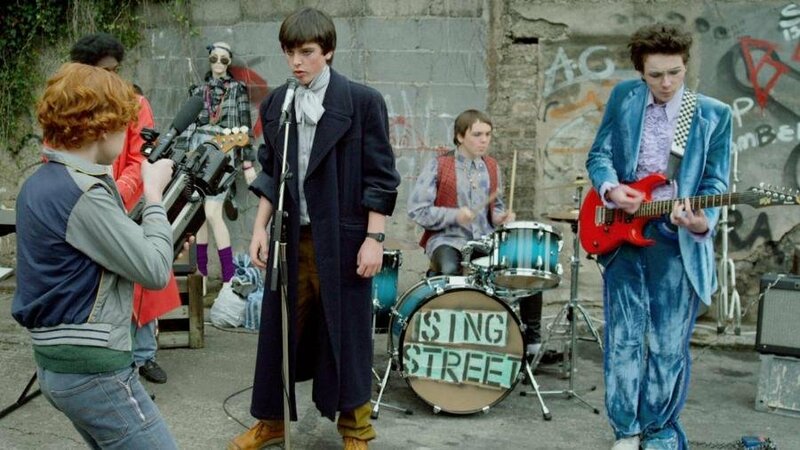 Have you seen Sing Street? Did you like the film? Leave your (spoiler-free) thoughts in the comments section below.